Preheating samples before testing is recommended to improve diagnostic sensitivity rates. The American Heartworm Society and Companion Animal Parasite Council recommend 2 components for diagnosing heartworm infection in small animal patients: antigen detection assay and microscopic identification of Dirofilaria immitis microfilaria. The antigen test is generally considered the more sensitive test, but studies estimate that 6.0% to 38.7% of microfilaria-positive samples produce negative antigen test results. In a review article published in Parasites and Vectors, officials at the Oklahoma State University Center for Veterinary Health Sciences described multiple factors that can lead to false-negative or false-positive heartworm test results. False-negative antigen tests occur most often in heartworm-infected animals when the host immune response traps circulating D immitis antigen in antigen–antibody complexes, preventing it from reacting with commercial assays. However, immune complexes can be disrupted successfully by a variety of methods, including heat treatment. The investigators cited multiple experimental studies in which dogs and cats with confirmed adult D immitis at necropsy had antigen-negative blood samples that became positive after heat treatment. Similarly, surveys of dogs naturally infected with D immitis also found that 5.2% to 53.3% of antigen test samples changed from negative to positive when heat pretreatment was performed. Heat pretreatment may also allow for earlier antigen detection of heartworm infection, as demonstrated by studies in which D immitis was detected an average of 1 month earlier when pretreatment was performed. Truly negative samples, from dogs or cats that are free of D immitis infection, are unlikely to become positive after heat pretreatment. The investigators performed a study using heartworm test records collected from 162 canine patients in 2017. All patients were screened for heartworm disease at the Oklahoma Animal Disease Diagnostic Laboratory via antigen tests (DiroCHEK, Zoetis) before and after heat pretreatment at 104ºC for 10 minutes, as well as a modified Knott microfilaria exam. Before heat pretreatment was performed, 14 of 162 dogs (8.6%) were positive for D immitis by antigen only, 6 (3.7%) were positive by microfilaria detection only, and 1 (0.6%) was positive on both tests. With heat pretreatment, all 6 dogs that were previously microfilaria-positive but antigen-negative became antigen-positive. An additional 17 dogs (10.4%) changed from antigen-negative to antigen-positive but remained microfilaria-negative. Besides blocked antigen, other causes of false-negative antigen tests include a lack of circulating antigen in early, prepatent infections. Heartworm-infected animals typically become antigen-positive about 4 to 5 months after infection when adult female worms begin secreting antigen. False-positive antigen tests are also possible due to cross-reaction of related nematodes, including other Dirofilaria, Spirocerca, Angiostrongylus, Dracunculus, and Onchocerca spp. Finally, several Dirofilaria and Acanthocheilonema spp are morphologically similar to D immitis and may produce a false-positive microfilaria exam result. Heat reversal is an important step to consider in diagnosing heartworm disease. 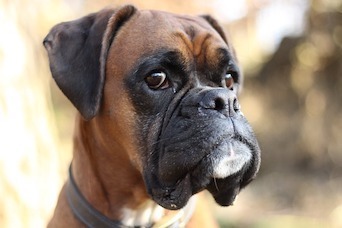 Heat pretreatment can help resolve discordant results between antigen and microfilaria tests and may increase detection of early heartworm infections.